neuropathy no matter how long you have been suffering! Claim your FREE TRIAL BOTTLE. success rate at getting rid of neuropathy pain – for good. formula 12 times more effective. No side effects. this product and to claim your FREE trial bottle. Limit one (1) FREE bottle per customer and per household. meats are linked with risk of diabetes? Scrub mussels under cold water; pull off hairy beards. Discard any that do not close when tapped. Set aside. oregano; cook for 3 minutes, stirring constantly. 4 to 5 minutes. Discard any that do not open. Arrange mussels in bowls; pour sauce over top. lengthwise, and cut into 3/4-inch pieces. 1 olive, 1 tomato, and another zucchini piece onto each skewer. or cover and chill for several hours before serving. until tomatoes are barely soft and hold their shape. Set aside, and decrease oven to 325 degrees. flour, 2 tsp. sugar and salt. Pulse a few seconds to combine. Add butter and oil. Pulse until mixture resembles lumpy crumbs. onto wax paper and gently press together, making 5-inch disk. Wrap dough in wax paper and refrigerate 30 minutes, up to 24 hours. rounds of dough and transfer to baking sheet. Prick dough all over with fork and refrigerate 10 minutes. shallots, milk and season with 1/4 teaspoon salt. Spread one-fourth of cheese on each tartlet round. Top with 2 roasted tomato halves, cut side up. Bake 10 minutes, or until pastry edges are lightly golden. Cheese will look cracked. Let tartlets stand 10 minutes. onions, and pepper. Repeat layers. Dissolve bouillon in hot water. Pour into slow cooker. Top with bacon. Sprinkle bread crumbs over top. Cover. Cook on LOW 4-6 hours. for the University of Michigan Health System. The reason? Health problems related to childhood overweight and obesity. Family Medicine at the U-M Medical School. will benefit kids and the entire family. to get in shape for fall tryouts at school, too. even involve your children in the grocery shopping,” says Bohn. instead of less healthy alternatives. structure, it really helps,” she says. as you jog, and invite older ones outside to play catch. problem of childhood obesity,” says Bohn. fall and winter, children will develop healthy habits for life. with ground dried chile peppers. self-professed “chilihead” ever considered was leaving out the meat. but committed vegetarians used to be a hard sell. flavorful, yet simply sophisticated, vegetarian dishes can be. summer vegetables and perfect for a summer day, sunny or rainy. contrast to the other ingredients. of flavor that make an exciting chili like this one. vegetables after 15 minutes. This can be done up to 4 hours ahead. up the tomatoes with a spoon. Simmer 15 minutes. from the heat. Mix in the cilantro and cayenne, salt and pepper to taste. the lime juice, and garnish each bowl with a dollop. may be related to cardiovascular disease. levels may occur when diabetes is out of control. also prescribe glasses and contact lenses. the proteins, fats, and sugars needed by the body. link between processed meats and greater risk of colorectal cancer. 45 to 60 percent greater risk of developing type 2 diabetes. that can lead to type 2 diabetes. about this product and to claim your FREE trial bottle. 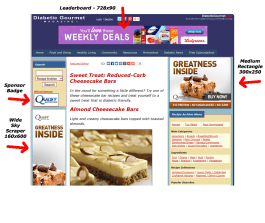 The Diabetic Newsletter (c) copyright 2012. CAPCO Marketing, LLC.